Please note that the last date for applications for admission to the course has been extended to 01 August 2014. All courses are of the value of 10 credits. Coursework will also include workshops, short courses, seminars, and practical sessions. The PG Diploma in Digital Humanities and Cultural Informatics will help students develop firstly, a critical sense of the problems of the humanities in an age of digital technology, and secondly, the analytical and practical skills to understand and apply computing to the source materials and problems of the humanities. With the proliferation of digital technology and its use in every field of cultural activity, there is a growing need to impart key skills in digital content management – creation, preservation, delivery and study – to individuals who will thereafter be in a position to use them in a wide variety of employment contexts. At the core of the programme is the attempt to use digital technology and computational methods to enhance the study of the imaginative variety of cultural expression. 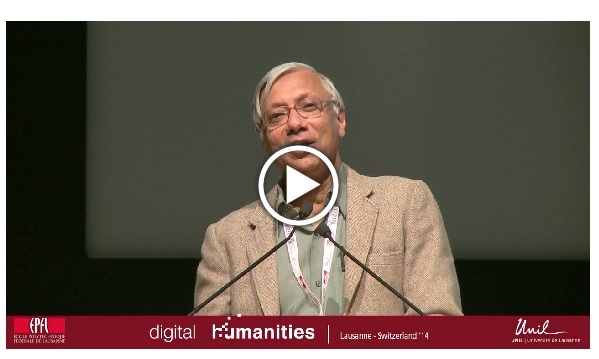 The challenge for the humanities is to use machine language and capacities to deal with cultural material that is not easily quantified or processed. By creating structured models out of the irregular and disparate data of the humanities, the students will learn to judge how the application of computing can be made to produce significant results and also to learn how these analytical and practical processes can throw new light on the object of study. While the digital storage and presentation of cultural material is becoming increasingly important, there is no comprehensive course anywhere in India offering training in its basic principles and methods. At best, students are trained in the limited skills needed for a particular job such as data entry or copy editing. More often than not, even this is not done, leaving workers in this field to pick up the skills as they go along. This course uses both formal methods and techniques and hands-on practice in applying them to real-world situations. A representative selection of case-studies drawn from a number of disciplinary areas will be used to exemplify typical problems and the combination of technical means needed to approach them successfully. Because of the range and depth of these problems, the programme is able to equip students not only for further research at the doctoral level but also for work in publishing, museums, libraries, business and the public services. Of all institutions in India, Jadavpur University may be the best equipped to offer such a course, as it has a rare combination of a strong Faculty of Arts and an equally strong Faculty of Engineering and Technology, existing side by side. There is thus unique scope for a synergy of cultural and technological perspectives. Moreover, the university is located in the vibrant cultural centre of Kolkata, and can draw upon the collections, expertise and ambience of its many galleries, museums, libraries and archives, and its intensive programme of cultural activities.